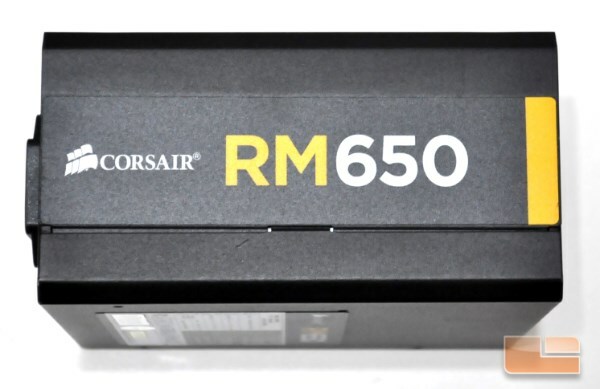 Corsair certainly tried to make the RM series unique. 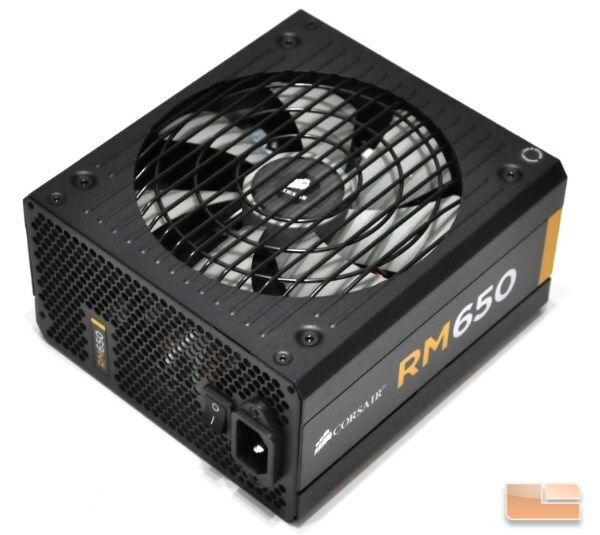 At 160 mm, the chassis of the RM650 is slightly longer than that of a typical ATX power supply, yet it should fit in all but the most compact of cases. The chassis also has trimmed side edges and a ribbed design embossed at the bottom of the chassis, which serves as an extension of the design of the unique fan guard. The entire unit has been sprayed with the same matte black paint that Corsair is usually using. Decorative stickers cover the sides of the RM650. Although the stickers take up most of the surface, they blend in with the color of the chassis, leaving only the company and model logos clearly visible. 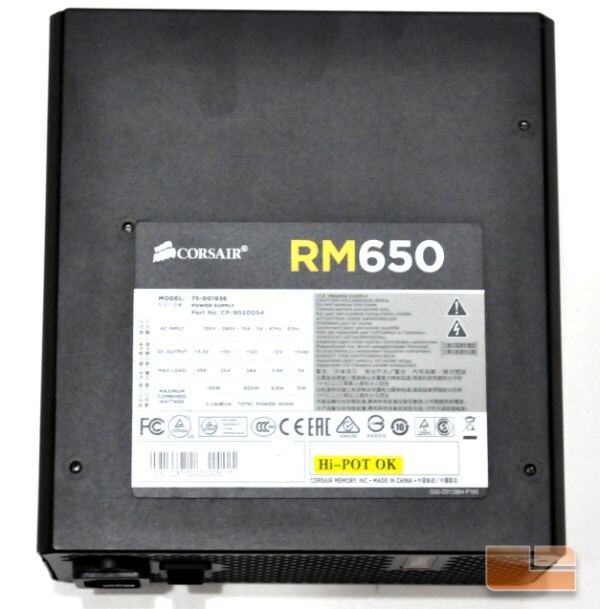 The sticker with the electrical specifications of the RM650 has been placed on the top side of the chassis, where it will be visible through a windowed side panel only if the case has the PSU mounting area towards its bottom and the unit’s fan is still facing downwards. 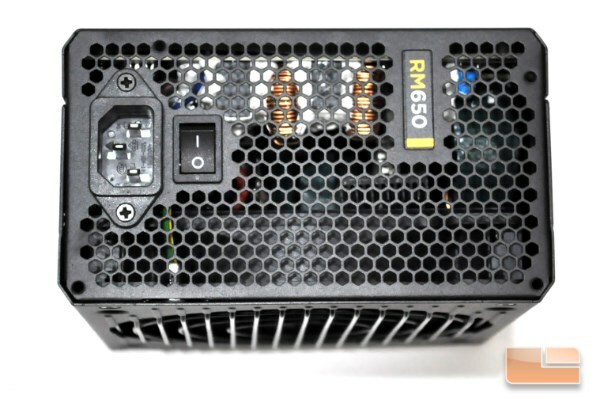 As this is a fully modular power supply, the rear side of the chassis is mostly taken by the modular cable connectors. 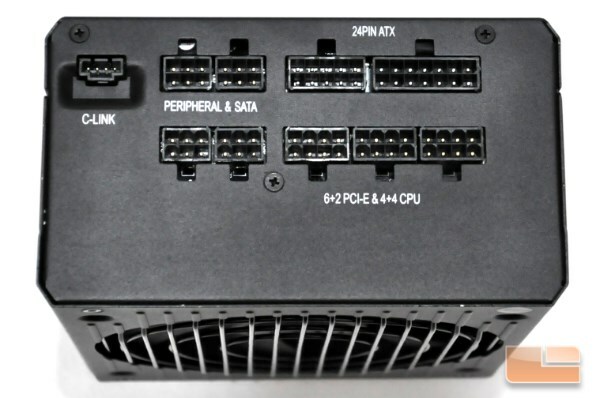 There are two connectors for the single 24-pin ATX cable, three connectors for the PCI Express and EPS cables, four connectors for the SATA/Molex device cables and a single connector for the Corsair Link interface cable. The front side of the RM650 is the standard perforated honeycomb mesh design, with only the standard on/off switch and power plug receptacle are to be found, as well as a small sticker with the unit’s model.